Offer your guests a way to save and share their memories forever! Photo booth rentals are an excellent addition to any event. Our photo booth comes as a complete package which saves you time to focus on your family and friends. These are totally hands-free photo booths so they don’t require an attendant. 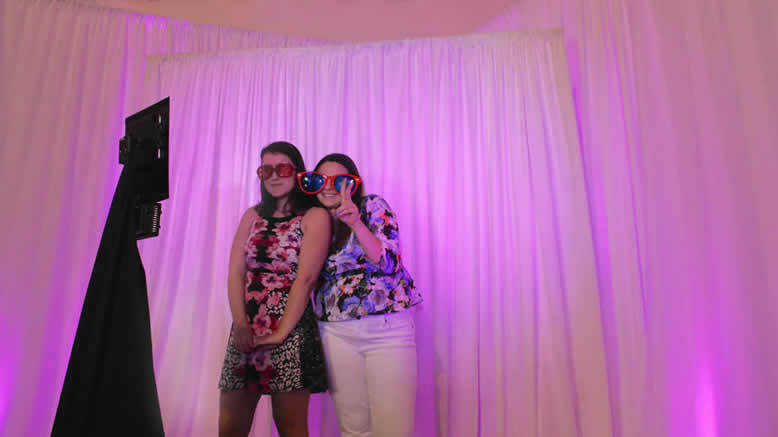 With this photo booth package, you and your guests receive an unlimited amount of digital pictures which can be sent directly to Facebook, Twitter, or a personal Email. We also provide fun props such as mustaches, hats, and glasses which is certain to get everyone in involved in the excitement. If you’re interested in hanging on to all those special keepsake moments, ask about our optional printer! Printer add-on comes with 200 shareable color photo strips and custom header with your choice of design. Once it’s all over, we’ll send you a link to your own private gallery so you can download every picture from your event. Our photo booth can be booked as a standalone service or can be added to any of our other services. Click the “Quote” button to check pricing and availability. Backdrops are an easy way to add an extra level of sophistication to your photo booth. Each backdrop comes in white and includes professional wrinkle-free linen. For custom colors, consider adding uplighting to your backdrop rental. 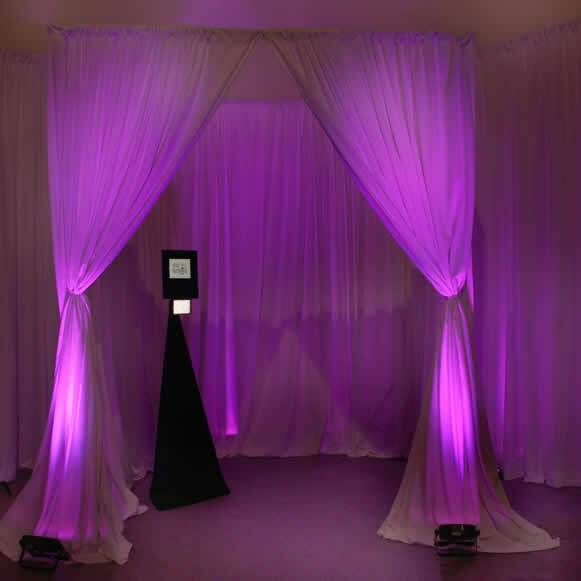 Canopy photo booths provide a private and stylish enclosure for your guests to capture those once in a lifetime moments. The enclosure stands up to 10 feet tall and can adjust to a total width of 12 feet. For custom colors, consider adding uplighting to your canopy rental. 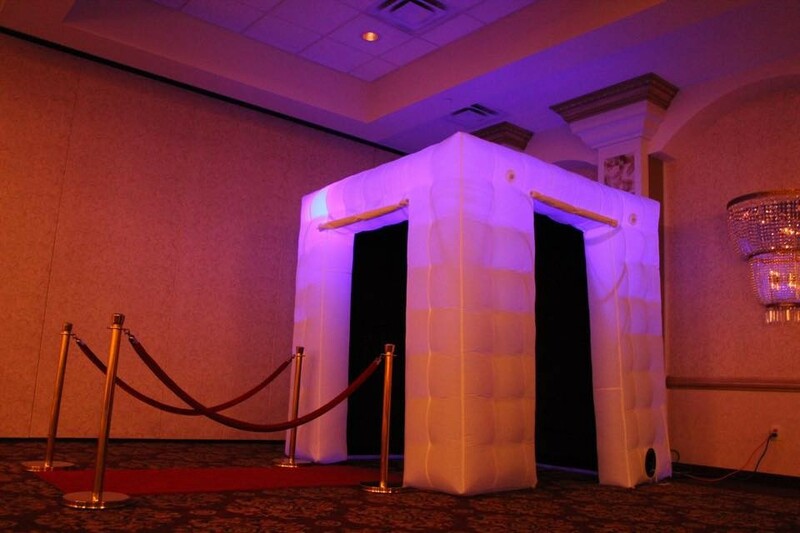 If you’re really looking to make a statement, the inflatable photo booth is for you! 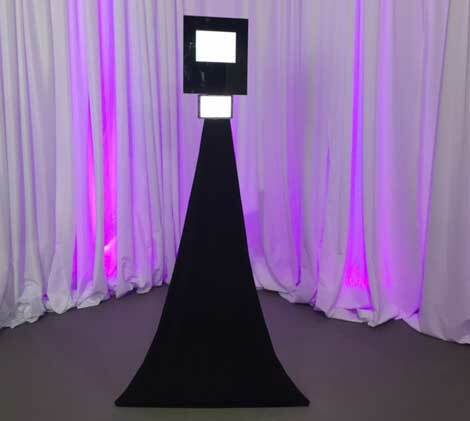 The booth measures 8’ x 8’ x 8’ so you can set it up virtually anywhere for a fun and interactive way to entertain the whole party. Availability is limited.